BMW's can’t be taken to just any repair shop in Phoenix. BMW maintenance specialists are in short supply here, and BMW maintenance procedures demand a certain level of skill and love for the vehicle itself to be carried out correctly. Don’t take a chance with your luxury import; let the professionals make sure that your vehicle will serve you faithfully for the years ahead. 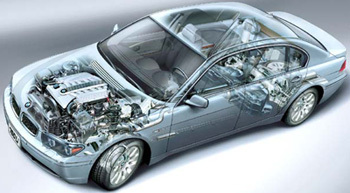 As a luxury import vehicle repair shop for Tempe and Scottsdale, BMW Maintenance is just one of our specialties. Like any other vehicle, BMW is one of our highlights. Because imported vehicles are build and designed a little differently than the domestic cars that most technicians are used to, special care must be taken to observe the differences and address the specific issues that arise. One of the best things to remember is that the cost of maintenance is what will save you the cost of BMW Repairs. Years of experience and training has made our team of technicians able to quickly diagnose and repair the causes that are specific to BMW vehicles. Furthermore, because we are a specialty shop, we usually have the parts on hand that your vehicle needs to get back on the road as quickly as possible. The real trick to BMW maintenance comes in understanding that your BMW will need to stop in regularly to keep it in top condition. With regular maintenance, your BMW can easily last you upwards of 300 thousand miles, but will drop to half of that if the maintenance is neglected. One of the ways you can get a leash on the maintenance costs is to pay attention to the suggested maintenance schedule and repair some components before they wear out. Automobiles are complicated and certain parts rely on others to keep them running effectively. For example, if you don’t have your radiator coolant flushed about once every 2 years, sediment can build up and choke the engine of coolant, causing it to overheat and fail. Other small systems like the belts and hoses in your vehicle can simply grow old and wear out, if this is allowed to occur then you can find yourself with a rough running engine before you know it. Keeping up on the little things is what is going to save you the big bucks, especially with BMW and Mini Coopers. Keeping your luxury import well taken care of is what will allow you to drive these wonderful vehicles for years into the future. Though it’s true that the cost of regular maintenance can seem like a hassle, it is far better than waiting for a serious failure in the future and paying for it later. Our approach to maintaining you luxury import vehicle is one of understanding your specific needs. We will alert you to any impending issues that should be addressed in the future, while fixing the items that are absolutely required to get you car moving again. We understand that everyone has their own situation that needs to be taken into account before the work begins, and we will work to make sure your needs are met. Feel free to contact us by phone, email, or just stop by the shop to find out what we can do for you and your vehicle. Our technicians are standing by to make sure that your vehicle gets back on the road as quickly as possible.